So, now we know who is through to the knockout stages of the World Cup and who has fallen by the wayside at the group stage. Schmeichel was Denmark’s man of the match in their opening game against Peru, helping them to a crucial 1-0 win. 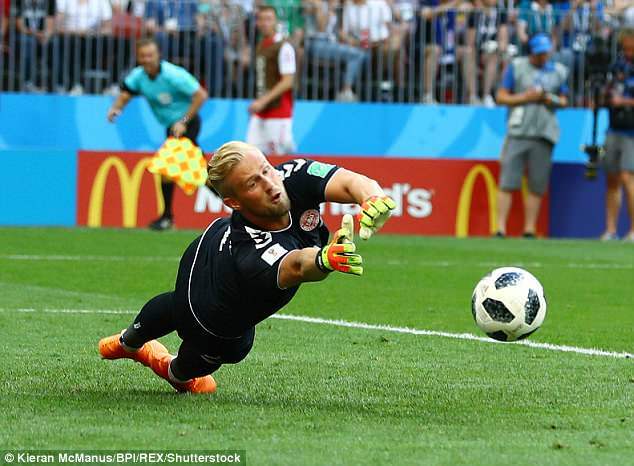 In doing so, on his World Cup debut, he overtook his father Peter’s record of the number of minutes played for Denmark without conceding a goal. The clean sheet took him to 533 minutes unbeaten. The Leicester keeper has also saved the second-most shots, behind Mexico’s Guillermo Ochoa, with 12 but has the highest save percentage with 92.3 per cent – having let in just one goal. A stand-out player for England in the opening two matches of the campaign. Trippier’s pace and willing in attack coupled with his diligence in defence has made him more than useful at both ends of the pitch. The Tottenham right back has also been a threat from dead-ball situations, a feature England lacked in the loss to Belgium on Thursday night. 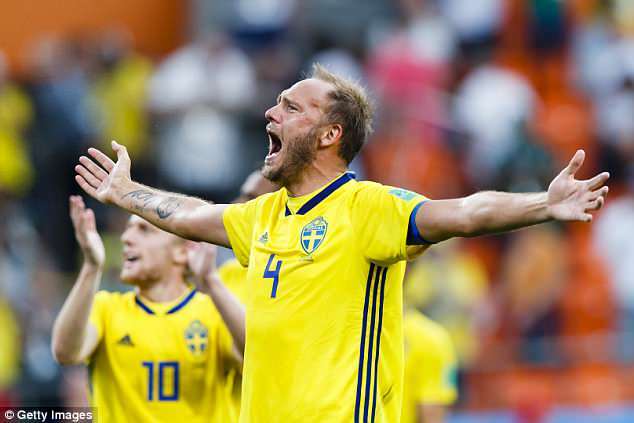 Granqvist has epitomised leading by example for Sweden thus far. A massive presence in the air and strong in the tackle, the former Wigan defender, now 33, has inspired this Sweden side out of the group. He was most impressive in Wednesday’s game against Mexico, stepping up to send home a crucial penalty on their way to a 3-0 win. To complete the veteran centre-back pairing is Godin, Uruguay’s captain. His side did not concede a single goal in the group stage and it is largely thanks to his presence. His expert positioning has more than made up for a slight lack of pace and his reading of the game is peerless, while his ability on the ball has also aided Uruguay’s style of play. Rodriguez’s bombing runs down the left-hand side of Switzerland’s attack have made him stand out above his competition at left back. He burst onto the scene four years ago in Brazil and appears to be enjoying another consistent showpiece in Russia. Arguably the best player of the tournament thus far. As is typical of Modric, he has gone about his business in an understated manner, but he sure knows how to step up to the big stage. He has scored twice, once from the penalty spot against Nigeria and a scorcher which pushed Argentina to the brink of elimination, and marshalled the Croatian midfield with aplomb. 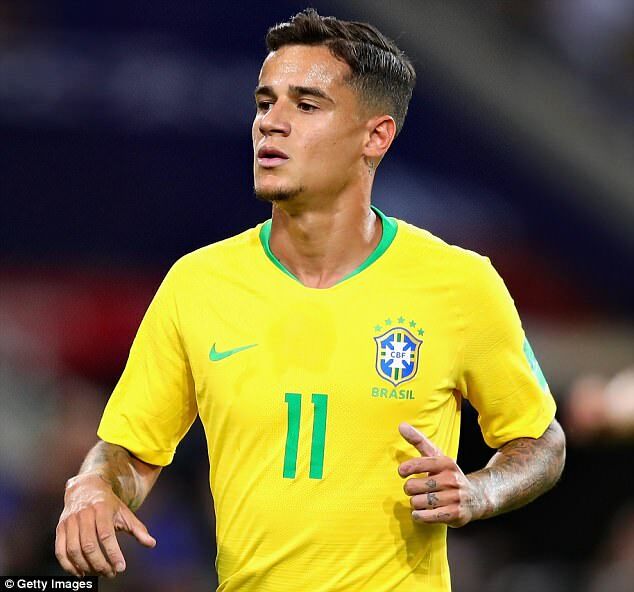 With all the pressure heaped onto Neymar’s shoulders ahead of the World Cup, Coutinho has done his best to alleviate it. His creative juices have flowed in Russia and his eye for goal has been uncompromising, scoring against both Switzerland and Costa Rica. Every World Cup offers up a breakout star and this time it may well be Lozano. His winner for Mexico against Germany in their opening game has prompted myriad reports of big clubs such as Barcelona being interested in the PSV prodigy. Not everything has gone Mexico’s way since the opening game, notably the 3-0 defeat by Sweden, but Lozano has equipped himself extremely well and has been the brightest spark in the side, despite being just 22. Ronaldo could have made this composite after Portugal’s first game. His heroic hat-trick against Spain earned his side a crucial draw owing to one of the best individual performances in the competition’s recent history. 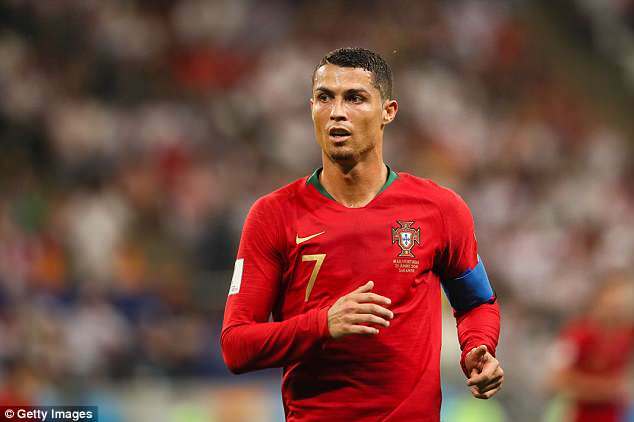 He netted again against Morocco to take his tally to four goals but missed a penalty in the 1-1 draw with Iran, a result which ultimately cost Portugal top spot. But barring that blip, he has been, as we have come to expect, immense. Lukaku netted four goals in Belgium’s first two games, bagging a brace in each. He was rested for the game against England and it was clear to see the Red Devils were missing a leader up top. During the knockout stages, Belgium will need Lukaku firing if this golden generation are to lift the trophy in Moscow on July 15. Leading the charge for the Golden Boot with five goals, Kane has come up trumps for England. He single-handedly wrestled three points for Gareth Southgate’s men against Tunisia, popping up with a last-minute winner to complete a brace, before scoring a hat-trick against Panama to leave himself out in front on his own. A truly world class striker who is proving himself on the biggest of stages.